The Wild Atlantic Way, Ireland’s 1,500-mile (2,414-kilometre) touring route has a lot more to offer than just breathtaking sceneries. Although Ireland itself has a pretty amazing amount of things to offer, thousands flock to its newest and longest road odyssey from all over the world to get a taste of what this gem, located in the far west of Ireland, has to offer. Contrary to popular belief, it is actually home to a variety of activities, such as horse riding, whale watching, and more. Even the waves have their own names! Tory Island, or as officially-known by its Irish name of Toraigh, is located 14.5 kilometres (9 miles) off the west coast of Donegal. The island has four towns. In 2010, the King of Tory confirmed that there were 96 people living in the island. Tory Island is home to historical artefacts and architecture that date all the way back to the 6th century. On the eastern end of the island, you will find jagged tors, or rock spires, that are said to have been owned by the legendary Balor of the Evil Eye, a mighty giant. There is a walking loop that enables you to see the highlights of the island, such as the sixth-century stone bell tower, a lighthouse, and an unusual Tau cross. Interestingly, Tory Island holds one of just two of the Tau crosses that are in Ireland! Do look out for the Wishing Stone while you’re there and try your shot in landing three successive pebbles on the flat-topped tor. Ancient folklore claimed that if you’re successful, your wish will be granted. Tory Island currently has no airport, but it has frequent ferry services from County Donegal. During the winter months, a small 4-seater helicopter runs from Falcarragh to Tory every Thursday as ferry services may not be available due to the rough seas. Access: Ferry services from County Donegal. Ireland is home to beautiful, historical castles and many will find it a waste if you don’t visit at least one during your stay there. In Donegal, there is an abundance of castles and many are starting to be renovated into resorts and hotels. After renovation, hotel rooms exhibit pure comfort and luxury, making guests feel like actual kings and queens during their stay, especially with the fine dining to top it all off. A great example would be the Lough Eske Castle, which has been around since the 17th century and is located on the shores of Lough Eske, 5 kilometres (3.1 miles) from Donegal. Their rooms and suites come with flat-screen TVs and free Wi-Fi and some even come with their very own fireplaces. They have a grill restaurant that serves breakfast and dinner, an elegant bar offering light snacks and afternoon tea, and even a sports bar. Apart from that, this castle-turned-hotel also has a spa, an exercise room and an indoor pool. Voted the 2nd-most beautiful beach in the world, Ballymastocker Bay is located on the Fanad Peninsula in county Donegal, on the western side of Lough Swilly between Rathmullan and Fanad Head. 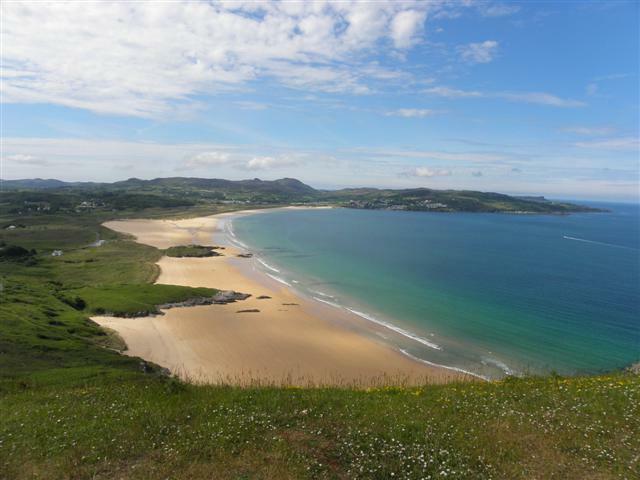 It overlooks the Inishowen Peninsula and provides breathtaking views. The beach stretches all the way from Portsalon to the Knockalla coast road. The beach offers two viewpoints where visitors can get the best views of the beach. Panoramic photos from these viewpoints have been used to promote not just Donegal but the whole of Ireland as well. Although it is one of the biggest beaches in Ireland, it is highly possible to walk along the beach and not encounter another person. You may, however, spot seals, dolphins, red-throated loons, and even curlews (a type of wading bird)! Ballymastocker Bay is also one of the 13 blue flag beaches in Ireland, blue flag being one of the world’s most recognised eco-labels. Fanad Head Peninsula is actually one of the highlights of the Wild Atlantic Way and is home to one of the best lighthouses of Ireland, the Fanad Head Lighthouse, which is also the main attraction of this place. It is located on the eastern shore of the Fanad Peninsula, within the Donegal area. The lighthouse was originally built to guide ships and sailors safely on their journeys, and it still does this today, along with additional services such as accommodation and a developed visitors’ centre. Apart from the lighthouse, Fanad Head offers amazing landscapes and views of the Atlantic Ocean. From the Great Arch, you can catch a glimpse of some of the marine wildlife that resides there, such as the grey seals and whales. For activity-seekers, head over to Portsalon Golf Club where its course was ranked 25th by Golf Digest in its 100 great golf courses of Ireland. Don’t miss out on enjoying a generous serving of steamed mussels at Sarah’s Restaurant that overlook Lough Swilly in Portsalon as well. Opening Hours: 12 noon - 10 pm. 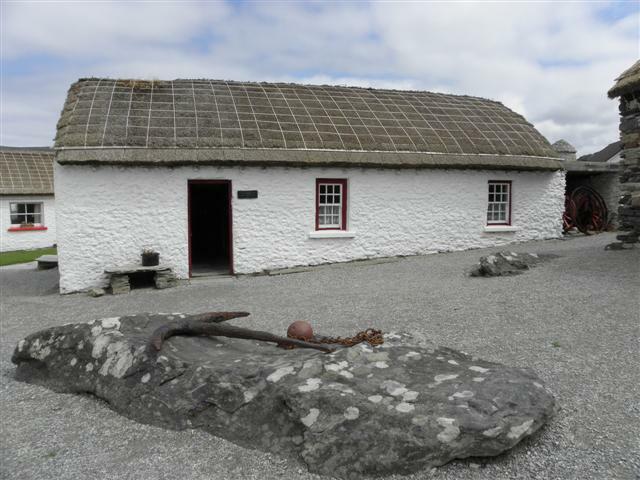 Glencolmcille Folk Village Museum was opened by a Donegal priest, Father James McDyer, in 1967. It started with just three cottages that were built and furnished in just three months through local community efforts. New cottages and exhibits have been added to the museum over the years and the museum is still a huge part of the community with locals regularly donating expertise, artifacts, stories, and photographs. The folk village is located on a rocky hillside that provides visitors with a warm, Donegal experience. It also offers guided tours where visitors will experience life as it was in the 1700s, 1800s, and 1900s. For example, the museum’s thatched cottages are exact replicas of those belonging to past eras and have been furnished accordingly. The museum is open from Easter up till September and guided tours are held daily. The very famous Glengesh Pass, also known as the Donegal Pass, is part of the section of road from Glencolmcille to Ardara. This particular route is also a popular route to take on your way back from Slieve League. This 15-mile (24-kilometre) route has a few hairpen bends with narrow and windy roads along the way. Glengesh Pass also translates to Glen of the Swans and its wonderful scenery is guaranteed to catch your eye and even take you back in time with the old cottages, farms, and vast amounts of sheep and cattle. It is also one of two glaciated valleys that sculpt the northern edge of the Banagh Peninsula. Sligo is home to many lesser-frequented beaches and islands, such as Trawalua Strand. Trawalua Strand isn’t accessible by car, which may be the reason why it’s not so visited. It’s so deserted that you might actually see cows waddling in the water rather than people! The beach provides a great horseback riding location, despite the cows. A four-hour island trek traverses the beach and crosses a channel at low tide to O’Connor’s Island. Apart from horse riding, you can opt to have a picnic, explore an abandoned farmstead, or witness the ever-friendly seals and seabirds. Classiebawn Castle, which was previously owned by Lord Louis Mountbatten, has a hilltop that overlooks the two-mile (3.2-kilometre) strand and even two offshore islands. Its linked barrier beach, Streedagh Strand, is home to three 1588 Spanish Armada ships that were wrecked after their defeat by the English fleet. At Dernish Island, feast your eyes on the ancient standing stones and mound graves. 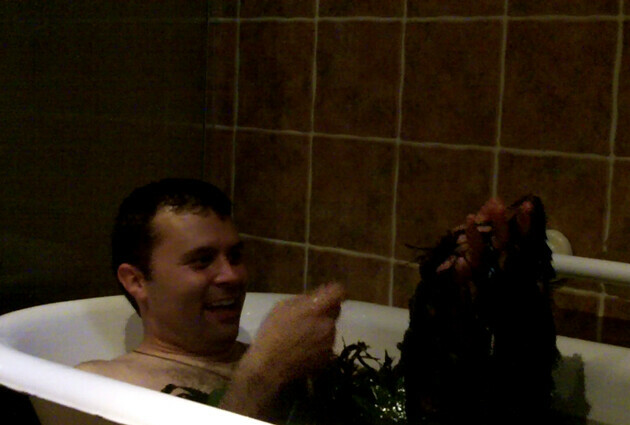 While in Sligo, be sure to not miss out on a traditional seaweed bath at Voya Seaweed Baths. Seaweed baths were actually very popular in the early 20th century with many easy-to-locate seaweed bath houses around. As the population moved towards the west coast, these bath houses started diminishing and by the 1960s, there were close to none of them available. In 1996, Voya opened the first seaweed bath house since the 1960s and it has since attracted close to 40,000 visitors a year. Visitors will be taken into a room housing a tub filled with water and seaweed. You can also choose to start off in the steam room where the steam will enable your pores to open up, resulting in a more effective detox treatment. You will then sit in the seaweed tub for 50 minutes whist allowing the seaweed to smooth your skin and heal your body. Enjoy a glass of Guinness for a fully relaxing experience. Coney is actually a Latin word for rabbit. Coney Island was given its name after the vast quantity of rabbits that can be spotted on the island at any time. Back in 1862, the island housed 124 people. Today, it is home to only one family of permanent inhabitants that can trace their home back to the 1750s! The island has many temporary residents though, especially in the summer months. Fun fact: the island only started having access to electricity in 1999, through an underground cable! There have been stories circling around about fairies, mermaids, and spirits on Coney Island. Visitors can also try to find the very famous St. Patrick’s Chair. It is said that St. Patrick bestowed the island with a stone wishing chair in the past. There is also St. Patrick’s Well, the remains of a washed up whale, and some fairy forts, including the Napoleonic star-shaped earthen fort. Visitors can also visit the one and only local pub, McGowans, or visit the secluded beach of Carty’s Strand that is located to the rear of the island. Clare Island is full of mountains as it is located at the entrance to Clew Bay in County Mayo. It is known to have been the home of the famous pirate queen, Gráinne O'Malley, in the 16th century. She wielded power and exacted payment from ships for passage through her waters with a fleet inherited from her chieftain father upon his death. Today, the island is home to 145 people. You can see Gráinne O'Malley’s tower of residence and her grave in the nearby 13th-century Cistercian abbey cemetery. While you’re there, be sure to check out the the abbey’s well-preserved medieval roof and wall paintings depicting dragons, musicians, and men on horseback. These sites are part of Clew Bay’s Archaeological Trail, which also includes a megalithic court tomb, Bronze Age promontory forts, and ancient cooking mounds. Explore the mountainous isle and you’ll find the 1806 Clare Island Lighthouse. The lighthouse is also an inn today, and it provides guests with 360-degree views of O’Malley’s fiefdom from the lantern tower. You can either choose to rent a bike or take a guided taxi tour explore this scenic place. Head over to Sailor’s Bar and Restaurant for a drink and traditional music. The Great Western Greenway is a cycling trail from Achill Island to Westport and is the longest off-road cycling trail in Ireland, stretching for 26 miles (41.8 kilometres)! The trail follows an old train line skirting Clew Bay with gentle grades and expansive coastal views. It is recommended for cyclists to choose their more suited, preferred route with the well-known cycling company, Clew Bay Bike Hire. The company has five locations around the route and offers a free return shuttle service back to your start location, in addition to electrically-assisted bikes and trailside assistance. It is said that its possible to cycle the whole trail in four hours, although you should take some time off from cycling to take in the views, explore the landscapes, and stop for a bite to eat. Stop by Yvonne’s Traditional Cottage in Rosturk for amazing home-made scones. Visitors can also go for the Greenway to Seaway package combining cycling from Westport to Mulranny or Achill with a 2.5 hour cruise back to Westport where you can look out for dolphins, fish, and even mackerels as the boat cruises along Clew Bay. The well-loved Irish festival, the Geesala Festival, is a horse-riding festival and it normally takes place from the 9th to the 16th of August. It takes place in Geesala, County Mayo, which is a village that is well-known for its landscapes, sandy beaches, and breathtaking coastline. Apart from horseback racing, the festival also includes heritage events, cultural events, Là Gaeilge or Irish Day events, a vintage show, show-jumping and classes, a dog show, a sheep show, and more. Look forward to the greyhound racing event where people bring their dogs from England and Ireland to race. The amount of dog participants has also steadily increased over the years. All in all, the Geesala event is not to be missed and is guaranteed to be fun for the whole family. Burren, which is the Irish word for great rock, is a 250-square-kilometre (96.5-square-mile) landscape in County Clare. It is enclosed within a circle that was made by the villages residing there. The cracked limestone landscape hosts over 600 arctic-alpine and Mediterranean plants, in addition to the archaeological sites and monuments that are said to be older than the pyramids in Egypt! There are also mysterious stone dolmens, prehistoric stone wedges and court tombs, and nearly 500 stone and earthen ring forts in Burren. Visitors can learn more in the guided tours that are conducted by The Burren Centre. With this tour, visitors can expect to see sites such as Aillwee Cave and the Birds of Prey Centre, The Burren Centre, Caherconnel Stone Fort and Sheepdog Demonstrations, and the Cliffs of Moher Visitor Experience. The more popular way to explore the cliffs of Moher is by guided tours, but for those looking for a more unique experience, opt for the Cliff Walk tour by Doolin Cliff Walk. Cliff walking provides visitors more chances to take in the breathtaking views that the cliff has to offer. The cliff, with the green fields of the local farmers on one side and the pounding waves of the Atlantic Ocean on the other, is great to explore with the help of a local historian, Pat Sweeney. He is an expert on local history and folklore and is passionate about the preservation of a rural lifestyle. The walk lasts for approximately 3 hours and is mostly on gravel paths and finishes at the Cliffs of Moher Visitor Centre where public transport is available for your return to Doolin. For those who are interested in hearing the Dawn or Evening Chorus of the birds, book a tour with Atlantic Sea Kayaking. The birds in Kayak, Cork, normally sing during the dawn and sunset of the months between March and July. The singing is said to attract mates as well as mark their roosting spots. In this tour, you’ll be taken to a sheltered inlet surrounded by woods that magnifies the birds’ chorus on the placid water, acting like a natural echo chamber. Whale watching in West Cork has become an increasingly popular activity for whale-watching enthusiasts from all over the world. In the early 1990s, the Irish government declared the coastal waters of Ireland to be a whale and dolphin sanctuary. The coastal waters off the south west of Ireland are a summer feeding ground for a number of whale species. There are guided tours provided where visitors can expect to see various whale species, including fin whales, minke whales, and humpback whales. These whales may be seen just a few kilometres offshore and they feed in Irish waters for over seven months of the year. Did you say kayaking at night?! Count me in! Atlantic Sea Kayaking organises Night Kayaking tours that provide a different night time activity alternative to the usual pub or bar hopping in Ireland. Beginning at about 6.30 pm, this tour will have you paddling through the Atlantic Lake starting at the boat launch of Loch Hyne, in county Cork. The journey will be mostly quiet, with animals settling in for the night, and there will not be any use of flashlights. Viewing everything by moonlight is awesome! What better way to explore the coasts and cliffs of the Wild Atlantic Way than coasteering? For the adventurous souls and the thrill-seekers, coasteering involves climbing, jumping, scrambling, and swimming around the rock pools, cliffs, and caves of the intertidal zone. You’ll be wearing full body wet suits, life jackets, and a helmet as you explore caverns, gullies, coves, and rock formations. Coasteering is definitely not for the faint-hearted, although safety is fully ensured. Throughout the journey, you’ll be supervised by an experienced guide who will lead you by water or on foot. Nevsail Watersports offers coasteering packages along the shores of Kilkee Bay. Now that you know the wonders of Ireland’s Wild Atlantic Way, there’s no reason for you to spend your whole trip in one of the city’s, like, for example Dublin. Let your inner adventurous child out and explore Ireland’s most beloved gem. From horseback riding and coasteering to good old sightseeing, there’s something for everyone to enjoy.